Home » Nymphs and Merveilleuses. » The creation of the Directory. The creation of the Directory. Nymphs and Merveilleuses. The Frenchwoman of the century; fashions – manners – usages by Octave Uzanne, 1886. 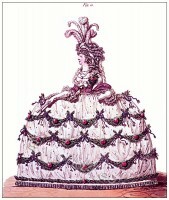 Allow it, for it is the truth; our nineteenth century awakes, is born on the morrow of the 9 Thermidor. Under the Directory, which was, it was wittily said, as the Regency of the Revolution, French society reforms itself in oblivion of the past, carelessness of the future, and the most utter epicurism of the present. Logically, we may say that the frontier of the eighteenth century is cleared, and that a new era commences with all the transformations of manners, language, and customs which mark the normal evolution of France towards a new regime. The public spirit was reposing after the terrible nightmare of the Terror, and one might believe for a moment in the intoxication of that sudden lull, in a complete popular appeasement, in a serious political reparation and a true civil renovation. Mercier, who then was writing a new Tableau de Paris *, declares that all is changed. “Luxury comes out more brilliant than ever from the smoking ruins, the culture of arts takes again all its lustre; literature, too, whatever one may say, suffered but a passing eclipse… .“ Shows have taken to them again their pomp, and the fashions are again the chief object of idolatry. Paris being a town essentially commercial, essentially skilled, essentially composed of taverns, it might be believed that for her the misfortune which is no longer has never been. A brilliant surface disguises the plaints and veils the murmurs. Luxury is like a spirituous liquor which entirely intoxicates the spirits; and I know not what mobility in opinion makes every one attach himself, for his part, to a sort of epicurism which lets the world slide on, thinking only of the present moment. No contemporary judgment is more exact or more clear than this. 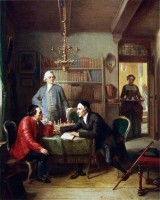 The citizen Mercier sums up in it in a marvellous manner the state of men’s spirits in the first days of the Directory. The most perfect anarchy succeeded the “National Razor;” the Revolution had destroyed all, even the empire of women; the clubs, the assemblies of the street had caused to disappear even the last traces of the assembly rooms; all French spirit, grace and finesse seemed to have been submerged in the bloody deliriums of the crowd. The reaction of Thermidor had to create, to institute everything new; it had also the honour to efface the last monstrous recollections of the Terror. So it is not astonishing to see everywhere the resurrection of pleasure, games and joy, after so long constraint; confusion is in all places; one feels that one lives in a moral interregnum: folly, forgetfulness, drunkenness, abandonment of oneself with facility and without regard for the means, is the order of the day. Woman, above all, knows that she has regained her most charming rights. Nothing had revolted her more, as the citizen Thérémin (2) remarks, than that absurd attempt of the Revolution which was for introducing into our manners the severity or the ferocity of the social laws of the first Romans. Terrified by that austerity calling itself republican, our Frenchwomen strove to give birth to a corruption greater even than that under the monarchy; to reassure us for ever against those false Spartan rigours; they wished only to please, and their seductive power was more mighty than any amount of rigid decrees, than the majority of the measures taken in order to establish virtue and morality. Three Merveilleuses walk through the Jardin du Luxembourg in Paris. But the art of living, the art of pleasing, the exquisite politeness, that happy mixture of regard and deference, of anticipation and delicacy, of confidence and respect, of ease and modesty, as it is phrased in the Letters of a Mameluke ? Politeness ? it is no longer aught but a prejudice: young men address women with their hats on; does an old man anticipate their requests, the young men ridicule the worthy fellow. You pick up a woman’s fan, she has no word of thanks; you salute her, she returns not your salute. She passes on, ogling the fine youngsters, laughing in the face of the deformed. The woman of the Directory seems to have materialised her spirit and “animalised” her heart; no more sentimentalism, scented and delicate gallantries, but in every meeting direct exchanges of proposals which bring about hasty couplings. It is no longer the forbidden fruit in this paradise of paganism; all the tactics of love consist in provoking desire and satisfying it as quickly as possible. One conjugates the verb after the caprice of the moment: I want you, you want me, we want each other, never passing on to the impersonal, preferring to arrive at once at the imperfect or the past definite. Divorce is there to untie the bonds of those tortured by jealousy, the cynicism of the time has made these delicacies rare. Marriage is no more considered, save as, according to the terrible expression of Cambaceres in the Code, “Nature in action;” that civil act is held but temporary, incompatibility of humour unbinding those whom physical agreements had united. (1) Paris pendant la Revolution. Preamble of 10 frimaire, an VII. 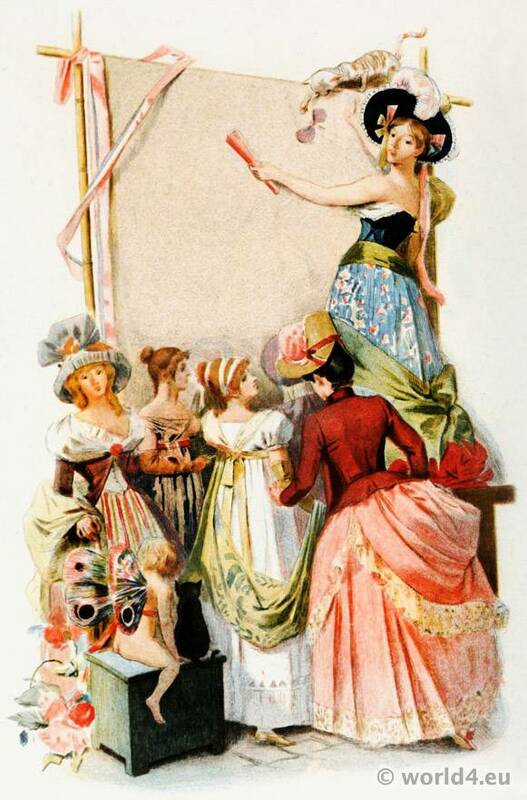 Source: The Frenchwoman of the century; fashions – manners – usages, by Octave Uzanne (1852-1931). Illustrations in water colours by Albert Lynch (1851–1912). 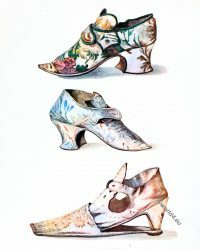 Engraved in colours by Eugène Gaujean (1850-1900). London, John C. Nimmo, 14, King William Street, Strand, W.C. 1886. 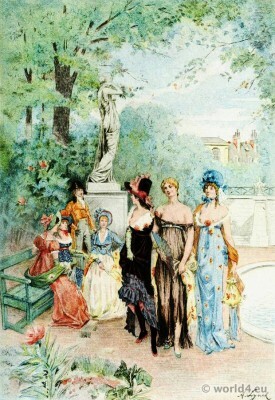 Nymphs and Merveilleuses: Chapter I., Chapter II., Chapter III., Chapter IV., Chapter V., Chapter VI., Chapter VII. Young men in hunting stroll costumes in 1760. 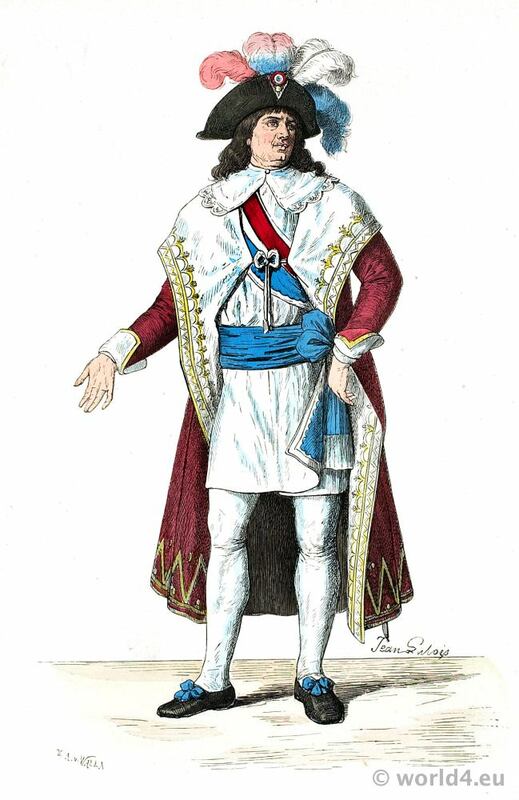 England court dress July 1794. The Gallery of Fashion.